As young Private ‘Tommo’ Peaceful looks back over his childhood from the blazing battlefields of the First World War, his memories are full of his family life deep in the countryside. But the clock is ticking. Every moment Tommo spends remembering the past brings him another moment closer to morning, when his life will change in the most unexpected and heartbreaking way… In this impassioned tale, former Children’s Laureate Michael Morpurgo explores the legacy of violence, and the forgotten fate of the soldiers shot for cowardice in the Great War. One of the most striking novels of recent years, this intense and heartfelt reflection on war casts an unshakeable spell. 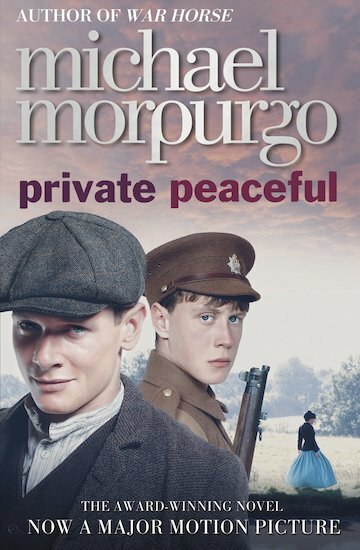 6 copies of this classic children’s book to accompany Read & Respond: Private Peaceful.